This SEO guide written by Howie Fox of Hurry The Food Up is a great resource for all bloggers. Even experienced bloggers are sure to learn something new in terms of optimizing their site to drive additional search traffic. The guide is easy to follow and read and you can start implementing the tips quickly. Even better, Howie rates the tips in terms of impact so you know which ones you should focus on first to have the biggest impact on your site. Click here to visit Hurry The Food Up. 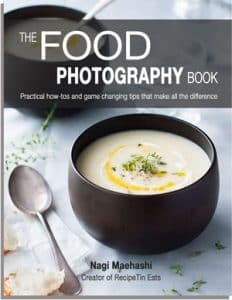 This book is perfect for anyone just starting out in food photography looking for a handbook with step by step instruction. This covers it all: food styling, photo and lighting set up, photo editing and workflow and much more. Best of all, it shows that you don’t need to have the best equipment to have great results. Photo editing using iphoto and Photoshop is covered. It is written by Nagi Maehashi from Recipe Tin Eats and Food Bloggers Central. Nagi is a generous soul who shares her own experiences and tips on these sites as well as the Food Bloggers Central Facebook group. Click here to view more details. When I was starting out I wasn’t sure which web hosting company to choose as there are so many options. I ultimately selected SiteGround because of the many reviews speaking to the excellent support that SiteGround provides to its customers. Every blogger needs an easy, robust social sharing plugin. This paid-app from Social Warfare has so many options and features and is easy for even the non-technical folks (like me) to get up and running in just minutes. If you have changed your domain or your link structure this plugin helps you recover your social share counts. The annual cost of $29 for one website is well worth the price given the numerous futures. Plus, if you like the flat style icons that are popular currently then this plugin has you covered. *Updated, we’ve moved to Social Pug after a number of recent challenges with Social Warfare. I love using Tailwind because it makes scheduling pins to Pinterest so easy. It takes a lot of the manual work out of managing your pinterest strategy and account. Not only do they make scheduling content easy, they also provide additional great features like Tailwind Tribes which make it simple and quick to find compelling content to share and to help increase your own shares. After a considerable amount of research into various wordpress frameworks and themes I opted to use the Genesis Framework. 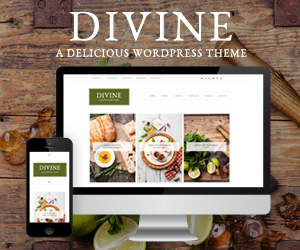 This framework is used by many top bloggers and can support some of themes that are most used by foodbloggers including the FoodiePro theme by Shay Bocks. The Genesis Framework from StudioPress will cost $59.95 and you will also want to buy a child theme or have a custom child theme made for your blog. I’m a big fan of the designs from Restored316. If you are looking for a Genesis Child Theme then I strongly encourage you to check out their selection. Most themes are currently priced at $50 and they also offer advanced services if you need help putting a bit of “sparkle” or “shine” on your blog. Almost every foodblogger I know either uses the Lowel EGO or covets one or even two of these lights. When you can’t shoot in daylight or for those times of year where there aren’t many daylight hours these can be an absolute life saver. This prime lens is what I’d refer to as a “value lens” and is great if you are starting out and/or have a tight budget. It provides a great result for the cost which is approximately $120 and is extremely light. For a higher build quality 50mm Fixed lens you could pay $800+. A 50mm lens is a must-have tool for food photography and has been my absolute best buy.